Gun laws in the U.K.: Do British people prefer handgun restrictions? What Do British People Think About the U.K.’s Gun Restrictions? 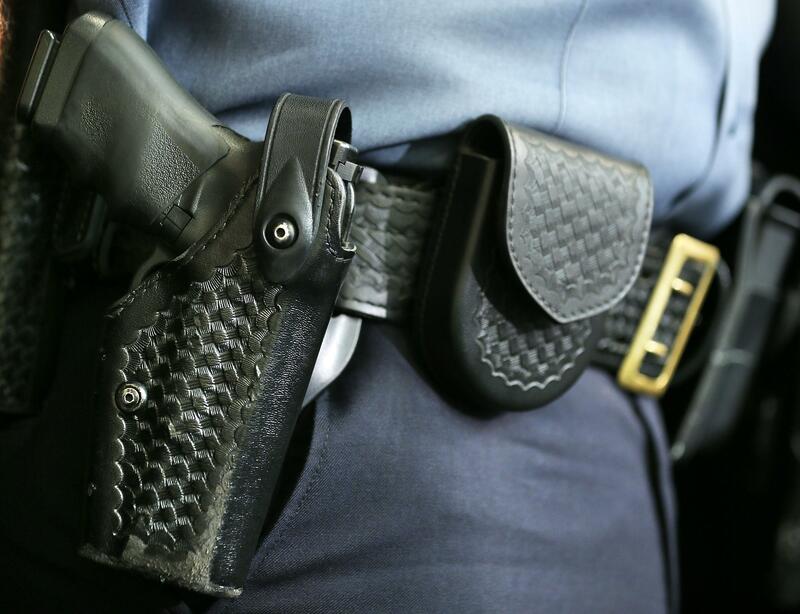 The holstered handgun of a law enforcement officer in Washington in 2012. Firstly, British people do have the ability to purchase firearms, but they are strictly controlled. It is not all that difficult to get a shotgun license if you live in the countryside, and I know people who legally own .22 rifles for the purpose of killing rabbits and wood pigeons on farmland. However, handguns were outlawed in 1997, and only the police and military are permitted to carry automatic weapons. I do not want it to be any easier than it is now to legally purchase a gun, and I know very few people who do. I don’t want to buy a gun because I have no need for one. More importantly, there are plenty of other people around who can’t be trusted with a gun, and I want it to be as difficult as possible for them to buy guns. I would be uncomfortable if it were made easier to buy firearms. The U.K. has one of the lowest rates of gun homicides in the world, and I like it that way. Our society does not have any problems that would be solved by introducing more guns. Superficially, it might seem like a nice idea to have a pistol on hand in case someone ever breaks into my house in the middle of the night, but I’m not sure how much it would help. If the burglar knows I might have a gun, he’s more likely to have one, too. He’s also probably a lot more comfortable about pointing it at someone than I am. And for that, I would have to accept the responsibility of owning a gun and storing it safely where my children and visitors can’t get at it. I’ve never had to deal with an intruder at my house, but there have been occasions when people have hurt themselves playing with my mountain bike or penknife after a few beers. Thank goodness that I don’t have a gun. An argument put forward by the gun lobby is that criminals will always be able to source guns from somewhere, so strict gun control only serves to put us good guys at a disadvantage by preventing us from defending ourselves. The problem with this is that we do not live in a world solely made up of good guys and bad guys. Most of us are normal people who occasionally get drunk or angry and make mistakes, and when those mistakes involve guns, the consequences are much worse. Guns are not cool. They’re not fun toys to have, and it doesn’t make society safer to have lots of them in circulation. Most tellingly, our police are quite happy with a situation where even they are not armed; a 2006 survey of their members by the Police Federation of England and Wales found that 82 percent of respondents were opposed to the routine arming of police officers. If the police don’t think they need guns, then why would anyone else? And it is that question that reveals the historical difference between the U.K. and the U.S. on this issue. When gun lobbyists in the U.S. cite the Constitution, they tell us that the right to bear arms exists so that the people can defend themselves from an oppressive state, but when the Metropolitan Police were formed in London in 1829, they went for the opposite approach and decided that the police should not be armed in order to assert the principle that they maintained order by consent rather than by force. It may be a philosophical point, but it possibly helps to explain the gulf in gun attitudes between Britain and the U.S.
United Kingdom:What are some interesting ways to annoy British people? Guns and Firearms: Are the NRA and gun advocates aiding and abetting mass shootings? Politics: Is it easier to be a Democrat or Republican?